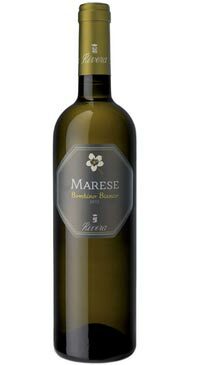 Bombino Bianco is a grape native to Southern Italy. This wine has candy-like aromas of butterscotch, jasmine and has an underlying mineral note. This is a wine with good complexity, excellent drinkability and freshness. It’s an easy drinking wine with a broad mouthfeel and ripe fruit flavours. This wine is excellent and refreshing enough to serve as an aperitif, but I really love to pair it with appetizers or dishes that feature crunchy, green veggies. I especially love this wine paired with one of my favourite easy weekday meals: steamed broccoli mixed with chicken that’s been cooked in a light cream sauce, served over quinoa. The dish is easy and the wine hits all the right notes!